Ermysted’s Grammar School’s long history, coupled with the loyalty it inspires amongst its pupils both past and present, means we have an extremely active Old Boys’ Society. We take a keen interest in the progress of the school and also contribute financially through fundraising to support the school’s development – for example helping with the cost of new buildings, refurbishment and the purchase of equipment. The Old Boys are proud of the school. We enjoy hearing of its academic successes, its sporting and musical achievement, its drama activities and its rich variety of trips and foreign excursions. 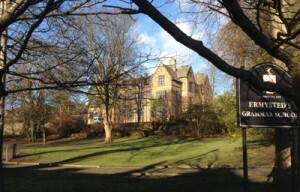 Our experiences and reminiscences help to draw a picture of a school that has developed throughout the 20th Century into one of the UK’s top grammar schools. The varied achievements of Old Boys of the school throughout history highlight the fine teaching and strong discipline that inspired boys to succeed. For the latest news about the school and its activities today, please visit the school website. President and Vice-President – un-elected – the holders of these positions are the Headmaster and a deputy/assistant Headmaster of the school. The Chairman is selected by the Committee and formally elected at the Annual General Meeting. The holder is usually in position for a three year period. The Vice-Chairman is selected by the Committee and his name is put forward to the Annual General Meeting for approval. The Vice-Chairman is, in effect, the Chairman-elect. The Treasurer is elected at the Annual General Meeting from members nominated at the meeting. The Secretary is elected at the Annual General Meeting from members nominated at the meeting. Committee members are elected, or co-opted, for a period of five years. In recent years several members have been co-opted after the A.G.M. in an attempt to lower the average age of the Committee and to bring to the Committee specialist knowledge. 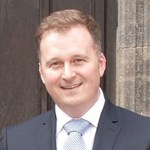 President – Michael Evans (Headmaster), appointed in 2016. 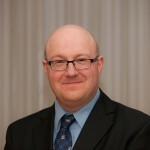 Vice-President – Stephen Speak, Assistant Head Teacher. David was a teacher at Ermysted’s from 1988 to 2014, and held roles including Deputy Headmaster and Head of Sixth Form. 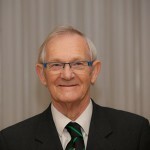 Ken has been the Society Treasurer since 1975. He was at school from 1950 to 1955, spent his working life at Skipton Building Society and was previously the school’s Clerk to the Governors for a number of years. He has been Chairman of the Old Boys’ Society twice – between 1994 and 1996, then 2012 to 2014. He lives in Skipton. The Committee usually meets twice per year, in addition to the Annual General Meeting. The first meeting as in the Spring term when in addition to the usual reports from Officers the meeting has to decide potential Chief Guest(s) for the Founders’ Day Dinner. The Chief Guest is always an Old Boy, which can include former members of school staff, who are all Honorary Old Boys. The Secretary then contacts the nominated member to gain his acceptance of the invitation. At this meeting the decision who to contact potential catering suppliers for the Dinner is made, as well as the basis of the menu. The second meeting is in the early part of the Autumn term, as well as the usual meeting business the details of the Founders’ Day Dinner are finalised. An Old Boy to read the Society Bible reading in the Parish Church at the Founders’ Day Service is also selected.